Satya Patel is a Partner @ Homebrew alongside Hunter Walk. Prior to Homebrew, Satya was VP Product at Twitter, building and leading the Product Management and User Services teams. Before Twitter, Satya was a Partner at Battery Ventures, where he co-led the seed and early stage investing practices. In 2003, Satya joined Google and was responsible for AdSense product management and partnerships. Before heading to Silicon Valley for Google, I worked for DoubleClick, in venture capital and as a strategy consultant. 1.) How Satya made his way into the world of tech and came to Partner with Hunter @ Homebrew? 2.) Is hustle the key component of a great VC? What does Satya believes makes a great investor? 5.) From Satya’s experience, what are the most common reasons startups fail at the seed stage? What can they do to maximise their chances of survival? 6.) We always hear that products should focus on a niche but how then do you attract VC money that is looking for a broad opportunity that can return the fund? 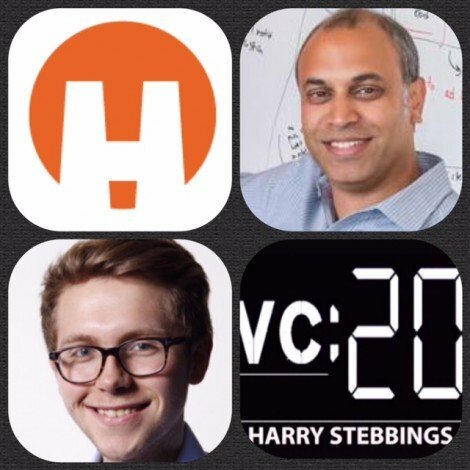 As always you can follow The Twenty Minute VC, Harry and Satya on Twitter here!